The KAS system for manure drying in cages 'ECO' type has been conceived to dry the manure onto the manure belts: the air mixed between inside and outside is sent to the aeration ducts placed between or under the cage floors. The KAS machine allows to both dry the manure while contributing to the shed's internal conditions in low external temperature conditions. The KAS systems are made in different sizes to be adaptable to the large installations and different climatic conditions. From the smallest model KAS 045 with 6.000 m3/H capacity to the KAS 700 with 70.000 m3/h capacity. All models are designed to mix the internal and external air through motorized automatic shutters which operated by a computer ensure the mix as to avoid condensation inside the ducts. To get the best results the KAS machines are provided of filters to avoid the dirt inside the pipes and to get the best conditions of sanitary prophylaxis inside the poultry installation. The filters are easy to clean. Some manometers allow to verify the state of cleaning of the filters reducing the number of inspections. The design of the external air inlets avoids unwanted intrusions. They are protected from the atmospheric agents. The generous dimensions permit to reduce the consumption of electric energy. 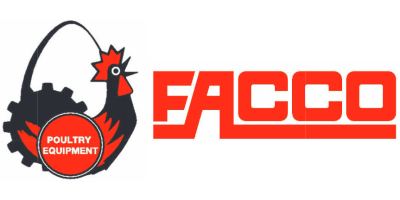 No reviews were found for Facco - Model KAS - Inside Poultry Manure Drying System. Be the first to review!